Get behind the wheel of a car in New Zealand and you need a licence to take it on a public road. But what happens if the car is driverless; autonomous; self-driving? We don’t have a legal requirement for a vehicle to have a driver in New Zealand, so one hurdle is already out of the way. Many places in the world already have given permission for driverless cars to take to the road.. The first driverless car was built in the 1980s by Mercedes-Benz and Bundeswehr University, Munich, however the last few years has seen rapid progress by many manufacturers spearheaded by Google with its hybrid Toyota Prius. The first stage in the public adoption of driverless cars will be cars that take over most of the driving for you. These are already available. Higher-end Honda Accords have radar cruise control which adjusts your speed, and Lane Keep Assist System which will gently guide your car back between the white lines – as long as the road doesn’t make sharp turns and maintains fairly consistent white lines you can take your hands off the wheel and let it do its thing. I drove one from the Bombay onramp to the Mt Wellington off-ramp and only touched the steering wheel four times to make minor corrections (which it warned me about anyway). In the video below it says that the driver has to keep contact with the steering wheel, but this is wrong as I took my hands off completely, holding them near the steering wheel in case I needed to make an adjustment. This is a very basic system, though. The Accord doesn’t understand when a traffic light is red, and it can’t cope with rural roads that are twisty and don’t have white lines. To do that the vehicle needs more cameras monitoring from all sides and some kind of awareness that ties GPS position to a map, like how a satellite navigation system works. Then the car can anticipate junctions and can know the appropriate speed limit for the road. The features will gradually get better and better until you will mostly be able to trust the car 100% to take you to the destination without you making any inputs other than the address you want to go to, and perhaps a preferred route. A person with a licence will still have to be in the driver’s seat, though. The second stage will be completely driverless cars rather like taxis but without a driver. It will be like taking your own personal public transport for you to enjoy the journey at your leisure with an infinite flexibility about where the final destination is. As well as being able to buy a car like this there will be fleets of them for hire. You will be able to put your children in the vehicle and let it take them to school, or let it drive you to work while you watch a movie or read the news. Public confidence in the technology will need to increase before these kinds of vehicles are accepted. How will driverless cars work in New Zealand? New Zealand’s roads are very underdeveloped. We have a large network of poor quality rural roads with variable quality markings, plus a lot of gravel roads where the edges aren’t well defined. We have uncontrolled level crossings and other dangers. For phase one where your personal car gets more and more features that make driving kind of like a video game and less like piloting 1500kg of potentially lethal metal, there won’t be much difference. Different vehicles will have different capabilities and you will always need to be able to take control where the roads are challenging, and this will most likely be anywhere that’s outside of the major urban areas, at least to start with. For phase two where autonomous vehicles can take passengers, this means that not everyone will need a licence to be able to get in the car on their own. The technology will have to be seriously robust to deal with many places in New Zealand and there will most likely be large exclusion zones when first introduced. How will self-driving cars benefit us? Technology can be consistent and (generally) error-free, or at least have systems to mitigate errors. Humans make errors all the time. If we take our eyes off the road for more than 1-2 seconds we need to make a steering correction. The technology will allow vehicles to take the optimum route using the least fuel possible and creating the least wear and tear on the vehicle which is better for the planet’s resources. Because the vehicles are computer-controlled and they will have sensors all around them to detect and anticipate other drivers’ movements they will be able to travel much closer together much more safely. Accidents will decrease and therefore injuries and deaths on the roads will decrease. Accidents will almost exclusively be caused by cars driven by humans. Our productivity and quality of life will improve. Rather than wasting an hour’s journey each way, driverless cars could cut this time down significantly and all passengers will be able to do something productive or relaxing. People may not need to own as many cars if there are autonomous vehicles available to hire for cheap prices. The lack of driver means that vehicles could be a similar price to hire as a rental car is now – perhaps $20-100 per day, depending on the type of vehicle, plus petrol. If there are vehicles to hire then it would make sense to hire the right vehicle for the purpose. Using smaller vehicles for single-person journeys will allow more vehicles on the road at the same time, for example even two small cars side-by-side in the same lane travelling very closely together because vehicles will most likely be able to communicate with one another. Congestion will decrease and this will mean that freight can be moved more efficiently. That will reduce delivery costs. 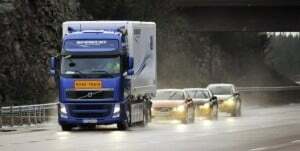 Freight vehicles may also be autonomous which will reduce delivery costs even further. Fuel usage, and therefore pollution, will decrease because driverless cars can drive consistently efficiently and are likely to be hybrids or other cleaner fuel technologies. Less space will need to be allocated to parking because many people will not need to bring a vehicle into the city. Households that would usually have two cars now may only need one and therefore houses don’t need to be built that use expensive real estate for double garages. Maintenance and WoFs will be much more efficient as the vehicle can drive itself to special test centres while you are at work. Driving in a driverless car will be much safer in heavy rain and fog as the vehicle will use a mixture of camera and radar technology to detect obstructions and hazards on the road. Insurance premiums should decrease for cars with anti-collision safety features (this is already the case in several countries, such as Sweden). Are there any problems with self-driving cars? Human behaviour is infinitely complex and put that against environmental challenges such as landslips, heavy rain, black ice and snow and the amount of processing power required by the vehicle becomes onerous. Multiple fail-safe systems must be employed to avoid accidents and a vehicle will need to know when rules can be overridden. For example, if it drives towards an intersection where the red light is on but there is a police officer waving traffic through, the vehicle needs to understand what a police officer might look like (could be short, tall, of varying ethnicity and facing in any direction). This is something a human can do easily, but a computer cannot. Initially these cars are likely to encounter some situations that will cause accidents regardless of how much testing has been done. There will be a wholesale reduction in the number of drivers required and those people will need to find new jobs. There will be an increase in jobs for administration and cleaning of an autonomous vehicle fleet, though. As the vehicles will be extremely efficient our government’s tax take will be lower because less petrol will be consumed. We are already seeing the effects of this with cars becoming much more efficient. Authorities may not know how to deal with situations such as giving the vehicle a ticket for an expired WoF or registration – this will require legislation, or some kind of electronic updating. Also, if the vehicle is in an accident there may only be one witness, therefore emergency procedures must be set up where perhaps the vehicle calls emergency services for help. Will you need a licence, though? For phase one you will still need a licence. It will be a vehicle that you must be capable of taking over if something goes wrong. In this way it’s like a passenger jet. The latest Boeings and Airbuses will fly themselves on autopilot from anywhere to anywhere. The pilot and first officer are there to cope with emergencies, plus give the passengers comfort. There’s no reason why an aircraft can’t be flown remotely, even with several aircraft controlled by one operator, but this isn’t acceptable to the general public. Therefore it’s good to get your licence now. You’ll need it for at least the next decade as cars will autonomous technologies are phased in, and probably for at least another decade after that until government and transport authorities are satisfied that driverless cars pose no risk on the road. Eventually it might even be mandated that all trips are made in driverless cars, or it will become prohibitively expensive to insure a vehicle that is driven by a human! That’s a scary thought. Humans can’t keep track of hundreds of objects on the road simultaneously, but Google’s autonomous car can. In fact, after 1.13 million kilometres of accident-free motoring, Google has proved that its self-driving car technology is capable of driving better than a human (although, it does have a human in the car to intervene at all times).